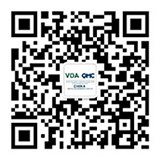 Jan 15th, 2019, VDA QMC China Changchun regional conference was successfully held in FAW-VW Changchun Plant. Prof. Tilman Tillmann, General manager of VDA QMC China, Dr. Johannes Dyckhoff, Quality Assurance Director of FAW-VW, Mr. Jan Carl Block, Regional manager of AHK Shenyang, opened this events and welcomed all guests. This conference has been given attentions from renowned companies, like Navinfo, Keen Ssecurity Lab of Tencent,PATEO, Audi, Continental, Bosch, and Huawei, etc.. In the meantime, FAW-VW, as the co-organizor, also strongly supported this conference. Around 350 Guests gathering together, discussed quality improvements and new standards in automotive industry for new digital era with the speakers.